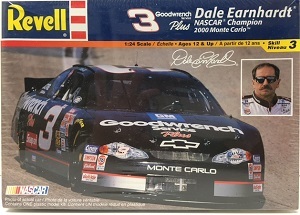 Dale Earnhardt #3 2000 Goodwrench Plus Championship Monte Carlo Revell plastic model kit. Unopened; in original box. 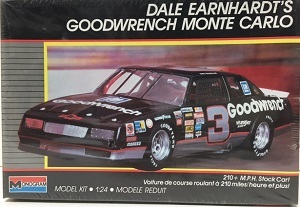 Dale Earnhardt #3 1988 Goodwrench Monte Carlo Monogram plastic model kit. Unopened; in original box. 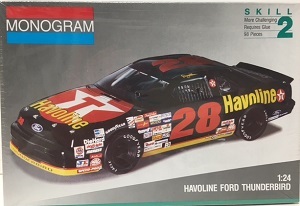 Davey Allison #28 Havoline Monogram plastic model kit. Unopened; in original box. 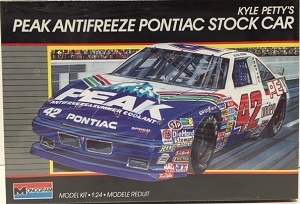 Kyle Petty #42 Peak Antifreeze Monogram plastic model kit. Unopened; in original box. 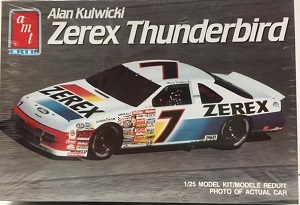 Alan Kulwicki #7 Zerex AMT plastic model kit. Unopened; in original box. 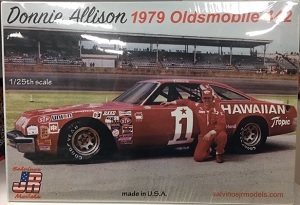 Bobby Allison #12 1/25th 1969 Coca-Cola Mercury Cyclone Polar Lights plastic model kit. 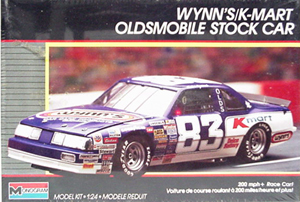 Vintage (1989) 1/24th scale Monogram plastic model kit. 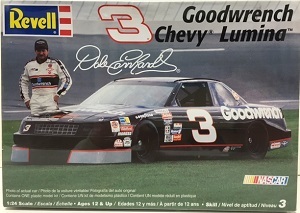 In original, sealed box. 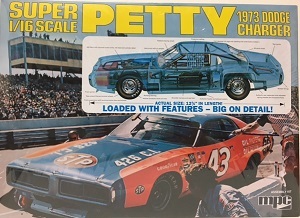 Vintage (1989) Monogram plastic model kit. 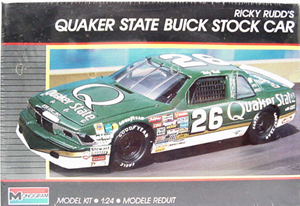 Pontiac Grand Prix driven by Neil Bonnett and prepared by the Rahmoc Team. Unopened. 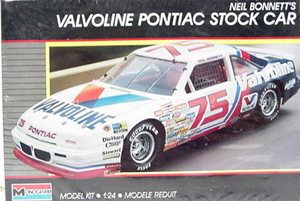 Vintage (1988)1/24th scale Monogram plastic model kit. 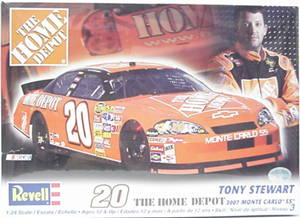 In original box;never opened. 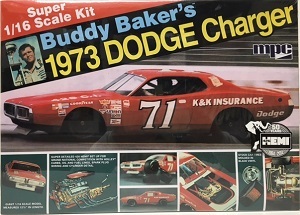 Buddy Baker #71 K&K Insurance 1/16th model car kit.